In My Mother's Clothes is an intimate photographic portrait series that focuses on migration and the notion of inherited identity. 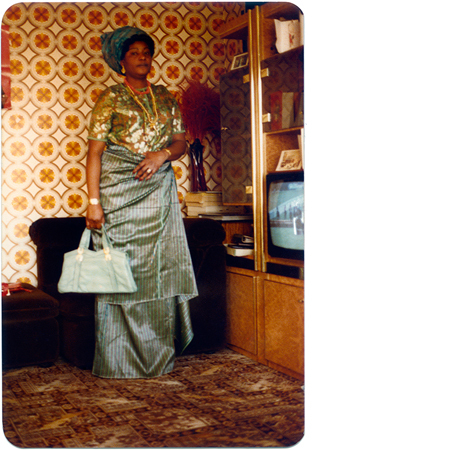 The series is inspired by a photograph of my mother in her Nigerian clothes taken shortly after migrating from Nigeria to London in 1971. The artwork sees me construct similar portraits of my partner who migrated to the UK from Finland in 2002. By dressing her in my mother's native clothes then repositioning her in urban isolated spaces the portraits prompt a dialogue that questions the fluidity of identity and culture. 6 Portraits in Series - 60 x 60 cm Framed, C-type Prints.